In brief, this expresses the philosophy of the shoe manufacturer Cesare Martinoli - Caimar. Many of the most important operations are still carried out today by hand with the same care and craftsmanship as in 1944, the year the first Cesare Martinoli shoe was produced. 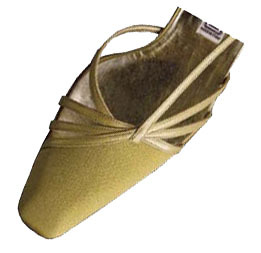 The choice of leather is a fundamental element in shoe manufacturing. For this reason we pay the utmost attention in our selection. Each skin is carefully selected and then cut by hand choosing the best parts. 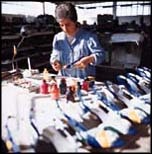 Of the 50 or so operations that are necessary to make a quality shoe, one of the most important is surely the lasting. For this reason we last each item scrupulously by hand, checking each shoe with compasses to verify the precision of each operation and guarantee a perfect fit. This is why our shoes are so comfortable despite the daring designs. Needless to say that all the other phases of the operations are subject to rigorous procedures and strict controls, all in the spirit of the oldest true artisan tradition. Cesare Martinoli is today a name known and appreciated in the best shops in over 30 countries. Moreover, some of the most prestigious "griffes" of high fashion trust us for the production of their lines of shoes and bags. Cesare Martinoli products mean originality in design and quality in production, elements of which we are proud bearers in this family tradition. 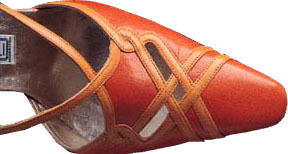 Calzaturificio Cesare Martinoli - Caimar s.r.l.